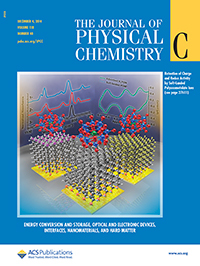 PNNL scientists determined that negatively charged Keggin ions, shown on the cover resting atop three thin carbon-based surfaces, do not lose their charge when softly landed, in contrast to the behavior of positive ions. This research has implications for next generation electrochemical energy storage and flash memory devices. 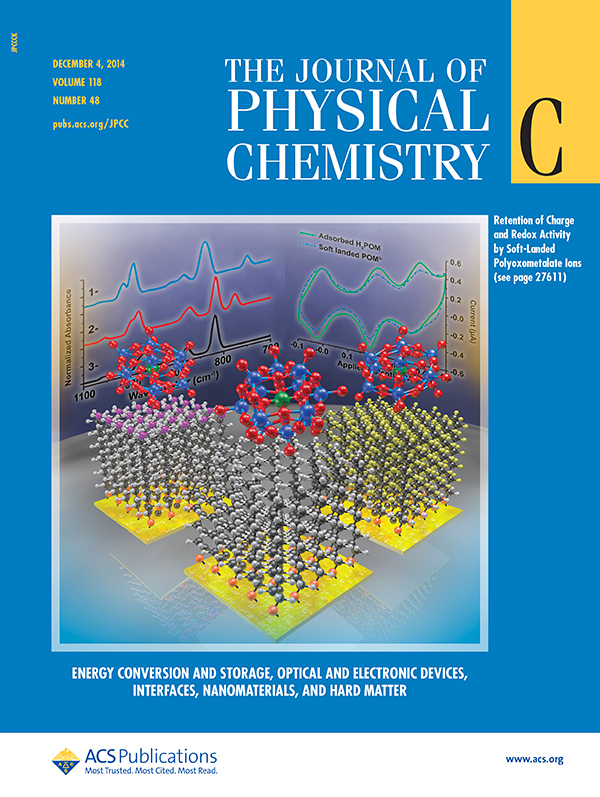 The research was chosen for the cover of the Journal of Physical Chemistry C. Cover artwork designed by Cortland Johnson. Copyright 2014: American Chemical Society Enlarge Image. Results: Creating extended range electric cars and high capacity flash memory for portable electronics requires scientists to delve into the behavior of anions, negatively charged molecules, that can store extra electrons needed to get the job done. For the first time, scientists at Pacific Northwest National Laboratory (PNNL) determined how carefully prepared electron-rich anions interact with three well-known carbon-based surfaces. Unlike positively charged ions, anions retain their charge and fail to transfer electrons to the surface. The Keggin anions (see sidebar) refuse to release their electrons to the surface because of the substantial force holding the electrons to the molecule. "In contrast with positive ions, charge retention by negative ions is less surface dependent," said Dr. Julia Laskin, a PNNL Laboratory Fellow who led the research. "In this case, the properties of the ion determine whether it retains its charge on the surface." Why It Matters: Whether you're merging onto the Beltway outside of the nation's capital or climbing Chinook Pass in Washington State, you want your electric car to speed up when you press the accelerator. For batteries, this is a problem. Adding supercapacitors, which release large volumes of energy quickly, may be the answer, but the technology isn't there yet. This study provides fundamental insights into polyoxometalate anions that may help control their performance in supercapacitors to create improved devices for cars and portable electronics with more charge capacity (and hence more energy). "Research in supercapacitors and molecular electronics will benefit from understanding the charge retention of ions at the nanometer scale," said Dr. Grant Johnson, a physical chemist at PNNL who participated in this study. "In addition, there are potential opportunities for charged species in catalysis and chemical sensors." Methods: The team began with commercially available polyoxometalates and electrosprayed them from solution to create multiply charged anions in the gas phase. The anions were transferred into a vacuum system, mass-selected using mass spectrometry, and deposited on the three surfaces with controlled kinetic energy. The surfaces are well-characterized self-assembled monolayers of thiols on gold that are used as model substrates to understand factors that influence the charge of deposited ions. The team characterized the ions deposited on surfaces at the U.S. Department of Energy's EMSL, a national scientific user facility, using in situ infrared reflection absorption spectroscopy, ex situ cyclic voltammetry, and electronic structure calculations. The team found that while a few anions lose charge at the time of collision with the surface, ions trapped on the surface retain their charge. Electron loss during collision is promoted by the kinetic energy of the ion. "In the future, scientists may prevent electron loss by landing the anions even more softly -- essentially, by varying the energetics of impact, we will control the charge state of deposited anions," said Dr. K. Don D. Gunaratne, a former postdoctoral fellow at PNNL who conducted the research. The team also discovered that the anion's charge state may affect its redox properties probed using cyclic voltammetry in solution. Although the electrochemical response of the surfaces prepared by soft landing of the doubly and triply charged Keggin anions were comparable, one of the three observed redox couples was shifted depending on the initial charge state of the ion. The observed shift in the oxidation potential of the doubly charged anion indicates the presence of an additional barrier for the two-electron two-proton oxidation process occurring in solution. "Our team's fundamental studies in ion soft landing will enable precisely controlled preparation of substrates with specific electronic and chemical properties that cannot be achieved using conventional deposition techniques," said Laskin. What's Next? Laskin and her colleagues are studying how soft landing of tungstate-based polyoxometalates may improve the capacitance or electrochemical energy storage of electrodes. The tungsten material is structurally more robust than the molybdenum studied here and may provide key insights needed to design high-performance supercapacitors. Sponsor: U.S. Department of Energy Office of Science's Office of Basic Energy Sciences, Chemical Sciences, Geosciences, and Biosciences Division. Electron-rich Keggin anions or negatively charged ions have served the chemical industry for more than a century. The cage-like ions, made from metal and oxygen atoms, are also known as polyoxometalates. The robust anions are easy to synthesize in solution in large quantities. Under the right conditions, each Keggin anion may store up to 24 electrons, making it a highly promising species for high-density energy storage applications. This study shows that Keggin anions keep their electrons when deposited onto carbon-based surfaces. The anion is named for J.F. Keggin, who determined its structure in 1934. Walter G. Klemperer created the picture and has permission to release to public domain. Licensed under Creative Commons Attribution-Share Alike 2.5 via Wikimedia Commons.